Lotus | Robert Doane, L.Ac. Robert Doane, L.Ac. and his wife, Anne, started the Acupuncture & Wellness Center, P.S. in Poulsbo, WA, in 1998. The clinic rapidly became the largest private Chinese medical clinic in the State of Washington and at present is also the largest in the United States. 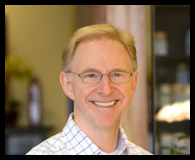 Robert holds a Master of Oriental Medicine, is NCCAOM certified in both Acupuncture and Chinese Herbal Medicine, and is licensed to practice acupuncture in the State of Washington. He has lectured extensively on health throughout India, Europe, and the United States. Robert Doane has a passion for sharing keys to practice building with as many practitioners as possible, and to advance the effectiveness and visibility of TCM. "After seeing Mr. Doane abandoning the standard mirroring and traditional ipsilateral and contralateral concerns to achieve extraordinary results, I decided to immediately implement his techniques at my clinic. The results were astounding. Mapping the pain to the muscle groups as outlined in Kendall's book [Dao of Chinese Medicine] was so useful. One example, is I would treat GB20 pain as GB involvement, now understanding if it is trapezius muscle pain it now is UB involvement. I generally had very good results treating pain before, now I have near perfect results. Also, I respect and commend his persistence in demystifying acupuncture for the professionals and public alike. A very important mission. Thank you." -D.G. Courses by Robert Doane, L.Ac. Submitted by elotus on Wed, 05/07/2014 - 4:58pm. "I love and honor Dr. Doane's experience and his ability to teach his experience"
"Bob is brilliant! I am glad that he is willing to take the time to share his knowledge!" "Thank you so much for this opportunity to learn from Bob Doane." "He was very straightforward. He didn't waste a lot of time. He kept things moving. Added a few stories." "Very knowledgable it would have helpful to stay closer to the structure of the power point presentation for us rokie herbalist"
"lots of material. like a whole year of college!" "Excellent - this is the second time I've taken a course with Bob and I intend to take many more courses in the future"
"Really enjoyed the seminar:interesting and informative." "course is better each time...perfecting, refinement. Enjoy the humor." "Bob Doane is an excellent instructor. He presents material in a clear, accessible style and is not afraid of sharing clinical experiences and insights to help inform his audience"
"INTELLIGENT AND WELL ROUNDED WITH LIFE EXPERIENCES WHICH ENHANCED HIS UNDERSTANDING OF AND ABILITY TO PRESENT INFO IN A COMPREHENSIVE AND OUTSTANDING MANNER." "My favorite speaker of all time! He is absolutely amazing." "Mr. Doane has an exceptional mind and I was privileged to be in attendance. I learned very deep facts that I might never have known." "Robert Doane's class was very organized and easy to follow. I learned more helpful things in this class about pulses than I did 4 years in graduate school." "I love Bob Doane. He is ahead of his time which ruffles a few feathers of those unprepared to see that the Emperor wears no clothes, but his is providing an extremely valuable service to the acupuncture community- dragging them (some kicking and screaming) into the 21st century." "Bob is very intelligent and he relates this course material extremely. All his seminars are gold!" "Bob has such an amazing ability to take complicated subjects and break them down into manageable bite size pieces of information"
Submitted by elotus on Mon, 11/11/2013 - 5:00pm. "Very willing to share any information that will assist our professional growth"
"Bob Doane is wonderful. I try to attend all his classes. I like his clear speaking style." "Bob is a top notch authority and presenter! Thanks Bob! This course gets to a lot of great details on this approach!" "Great at communicating information. Very informative." "Was very compelling, clear and specific." "Loved the course. Explained and helped clarify much confusion I had about Balance Method, I Ching and Master Tung acupuncture I had for years. I am now very excited to try the methods again." "I like his enthusiasm and breadth of experience." "He was very clear, and explained concepts so that the average patient with no TCM knowledge could understand." Submitted by elotus on Mon, 02/11/2013 - 3:33pm. "Bob has an impressive background and is very clear in his presentation style; I enjoyed his talk immensely"
"An amazing treasure-house of knowledge gained through personal experience. He is a delight to listen to and learn from. A dear soul who brings healing and grace to our profession and our world"
"I would take any course Robert Doane teaches. He is a world of knowledge." "Bob's an excellent speaker with tremendous knowledge and life experience. I like his sense of humor too." "I thoroughly enjoyed this course and wish I could have permanent access to it. Robert Doane was an excellent speaker." "Just wonderful - even better than last year! It would be great if this seminar could become an annual 'event' - fantastic way to kick off the new year!" "I love this topic so this was a very enjoyable seminar; it did not feel like "work". Bob is credible, obviously devoted to his practice and extremely intelligent - a combination that presents ethereal information very well. I wish he would write blogs on meditation/enlightenment/his experience or give additional seminars (like Deep Meditation and Spirituality Part Two!)" Submitted by elotus on Wed, 01/09/2013 - 2:32pm. "I would like to take more courses from Robert. Very practical information." "One of the best online classes I've ever taken - very easy to follow. Bob was also very motivational - he inspired me to want to be BETTER." "Bob Doane is both an informative and intelligent presenter. I always learn from his webinars. Today's webinar was great! His explanation of the pulse positions was superb." "Dr Doane is an amazing speaker with a unique approach and command of his methodologies. Would tune in to other webinars with him." "Very much enjoyed presentation; informative and actionable." 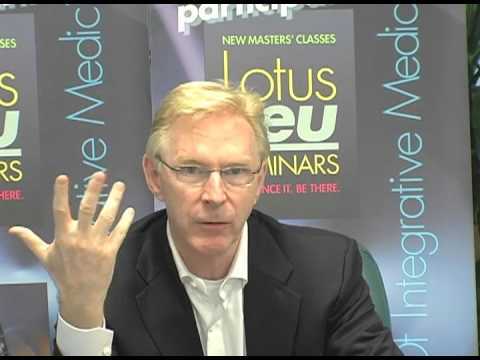 "Bob talks about not only the clinical experience, but also the business side of clinics to be successful practitioner. This is helpful for a veterinarian like us." "Bob Doane is any excellent speaker. I am eagerly awaiting any more seminars he might present. He is one of the major reasons I chose to purchase the full access pass." "This was a great course, and I gained knowledge that I will surely use in the clinic. This was my first introduction to the idea of using formulas as building blocks, and I learned enough that I will be able to use some right away, and more as I review and continue to learn." "Always inspired by Bob Doane. Several years ago, he changed the way I practice Acupuncture - Im so grateful to Lotus and to bob for helping me to build a successful acupuncture practice." "I greatly appreciate Bob Doane's contribution to our profession. He is clear, passionate, and willing to teach what he's learned and distilled into practical application." Submitted by elotus on Wed, 02/01/2012 - 12:28pm. Lotus Institute and Evergreen herbs. Submitted by elotus on Wed, 02/01/2012 - 12:27pm. I attended Robert's seminar this past weekend and just wanted to express how good it was. I felt like I had an epiphany moment. I've been practicing for 15 years and am very concerned that there are so many acupuncturists that are struggling to survive in this profession. The profession really needs practice mgmt seminars such as this to teach practitioners business skills and systems to help them capture, retain, and manage patients. I have take the Singer Seminar series and found it very helpful, but it really resonates when you hear these techniques from an acupuncturist, rather than a chiropractor. I also very much enjoyed his explanation of how Chinese medicine has been mis-interpreted and his more scientific explanation of how it works. I hope that you continue to use Robert in future seminars, as our profession is in need of this type of education. Submitted by elotus on Wed, 02/01/2012 - 12:23pm. I really enjoyed the seminar. It was better than I imagined!!! Superb- life changing. This course has completely changed my thinking about TCM. I can’t wait to get home and start applying what I’ve learned. Very worthwhile, very good speaker and staff You guys do a fantastic service. Submitted by elotus on Wed, 02/01/2012 - 12:13pm. I would like to share my experience of the Bob Doane Seminar this past weekend. As you know we are required by the State of California to obtain 25 CEUS a year. Continuing education is very important if one desires to constantly improve his craft. As such, my average year tallies 250-300 CEU's. This fact places me in a unique position to benefit from the clinical and life experiences of many talented Chinese Medical practitioners. My patients in turn benefit from my studies with these masters.. When your postcard came across my desk with the title, "How to See 60 Patients a Day-Robert Doane", my reaction was skeptical to see the least. The postcard nearly went into the trash. "It's not possible to see 60 patients a day!, I exclaimed. This guy has got to be a joker. Why is a quality company like Lotus promoting him? My curiosity won out. " Well", I thought "It's only a short drive up the freeway & if it's not interesting, I can always leave early & drive back to San Diego. At a glance Mr Doane appeared to have the countenance of mild mannered bespectacled university professor. "Hmmh", I reflected," this is going to be interesting." The seminar began. Mr Doane started to talk about his life prior to becoming a CM practitioner. There was no meekness in his delivery. His life experience was effectively relayed. Growing up in Alaska, getting two degrees in physics, the incident at 22 with the world renowned physicist at the university in England, the insightful decision to get into TM & help people, etc. "OK," I thought, "He's a good story teller, a speaker par excellence, but how is he as a Oriental Medical Doctor? It's still not possible for an Acupuncturist to see 60 patients a day." As the morning progressed, my experience of Mr Doane changed. The more this mild mannered professor stood & delivered, the less I was resistant, & the more captivated I became by his extraordinarily powerful presentation. His words were now electrifying. It was if he were speaking directly to me. WHAT DO YOU MEAN THERE'S NO QI ? Bob Doane then proceeded to demystify Chinese Medicine in a way that I have never thought of . The effect was profound, like a bomb going off in my consciousness. Life transforming to say the least. This was the missing link in our education. No more rote memorization of TCM. Mr Doane has now given us the tools to effectively explain the physiological basis of Chinese Medicine to our western patients! He then shifted to the area of practice management. A step by step description of how to build an Acupuncture practice from the ground up was provided. My initial skepticism by now had softened to the point of entertaining the possibility. By the time Mr Doanne finished his lecture, I was a convert. The Doanne seminar was arguably one of the best seminars I have ever attended. You have done a great service to our profession by making this remarkable seminar a reality. The information presented was priceless. Please bring Robert Doane back often. Submitted by elotus on Wed, 02/01/2012 - 12:04pm.